Produced for J Funk from Da' Well Productions. Recorded at Winsonic Process and Recording Studios. A1, A2, B1 Remixed for Mod Productions at Winsonic Process and Recording Studios. Original version available on the Giant album "Ahmad". Available on LP, Cassette and Compact Disc (1/4/2-24548). 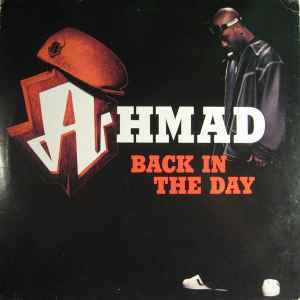 Published by Interscope Music/Ahmad Music/WB Music Corp./Kendal Music ASCAP. A3 & B2 contain a portion of the composition "Let's Do It Again" written by Curtis Mayfield, published by Warner-Tamerlane Pub. Corp. BMI. A1, A2, B1 contain samples from "Love TKO" performed by Teddy Pendergrass, used courtesy of Philadelphia International Records, Written by Cecil Womack, Linda Womack and Gip Noble, published by Warner-Tamerlane Pub. Corp. BMI.